Syiah Kuala University introduces two new applications, E-Planning and E-Budgeting, which are named Work and Budget Plans Information Systems (Sirekan) and Financial Information Systems (Simkeu). The introduction to the two applications took place at the Unsyiah Senate Hall on Tuesday (2/12). Sirekan and Simkeu are formed by UPT of Information and Communication Technology (ICT). Head of UPT TIK, Nazaruddin, S.Si., M. Eng. Sc. give a presentation about these two applications, as well as explained how to use them. Nazar said, this application was automatically integrated between planning and finance system. Immediate sirekan can be used to fill in the work plan, revise the work plan, and validate it. While Simkeu will be used to input various expenses, such as receipts, honorarium, SPPD, and contracts. Unsyiah Rector, Prof. Dr. Ir. 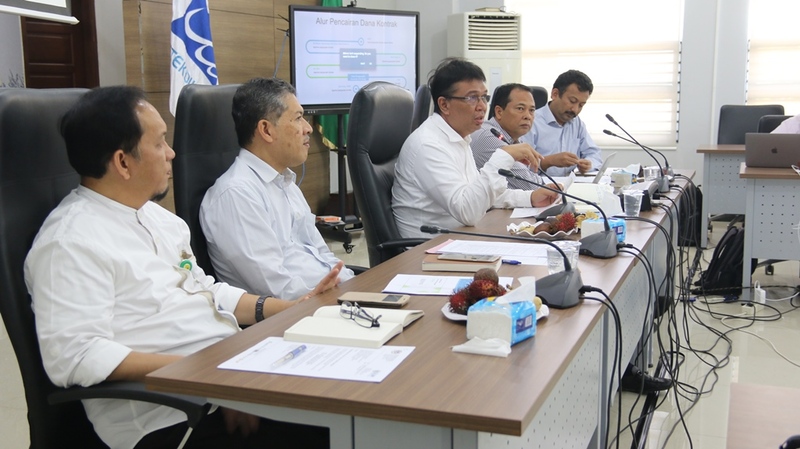 Samsul Rizal, M.Eng., hopes that with the presence of these two applications, the budget plan, the purchasing system, and Unsyiah's expenditure will be recorded more efficiently.